Black Swallowtail, originally uploaded by trekr. 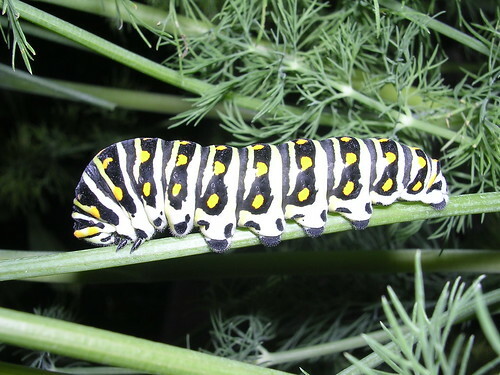 One more of the Black Swallowtail caterpillar. Click on the picture and check out the original size image on Flickr to see the hair on its “toenails”. This entry was posted on Wednesday, May 23rd, 2007 at 7:35 pm	and is filed under Garden. You can follow any responses to this entry through the RSS 2.0 feed. You can leave a response, or trackback from your own site. These guys sure chewed up our dill and fennel! But I suppose it was worth it……now, I’m wondering where they ended up?